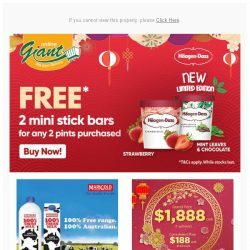 [Giant] Come @gmail.com, Indulge the luxurious taste of from Häagen-Dazs! 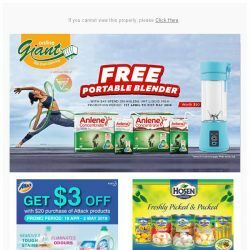 Till 23 Jan 2019 FairPrice: Buy 3 Tubs of Ben & Jerry’s Ice Cream at only S$29.50 (UP S$41.70)! Indulge yourself in a delicious tub of Ben & Jerry's ice cream! 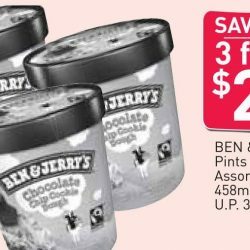 Grab this offer to buy 3 pints of Ben & Jerry's ice cream at only S$29.50 (UP S$41.70) at Fairprice from now till 23 January 2019 in stores and online! Looking for treats to delight your guests this Chinese New Year? Look no further! 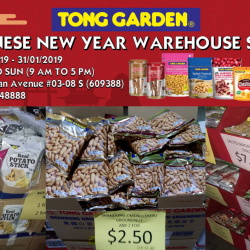 Tong Garden Warehouse Sales is now open! 9am to 5pm daily. 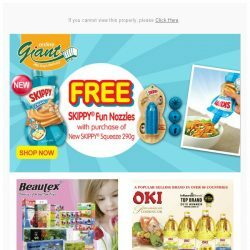 Generous discounts, exclusive bundles and attractive spin-the-wheel prizes. See you there! 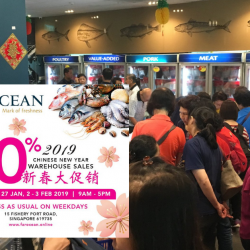 Hosen Group is having an Annual Warehouse Sale with many good deals on canned fruits, abalone, CNY goodies, fish skin salted egg snacks, beverages and more! 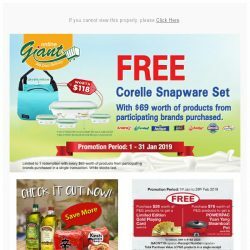 Head down from now till 1 February 2019 to stock up for CNY! 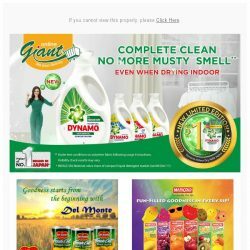 [Giant] WOW! 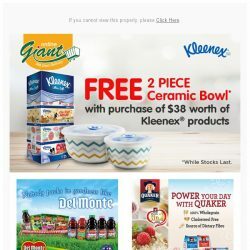 Tempting Offers Just For @gmail.com On This Holiday Season! 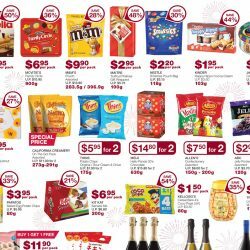 Till 1 Jan 2019 NTUC FairPrice: Warehouse Club Christmas Open House – No Membership Required! It's the most wonderful time of the year! 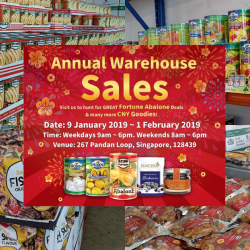 Warehouse Club is having a Christmas Open House from now till 1 Jan 2019! Take this chance to enjoy greater savings from current storewide Christmas promotions! No membership is required, so what are you waiting for? Come down to FairPrice Hub Level 3 (next to Joo Koon MRT station). See you there! 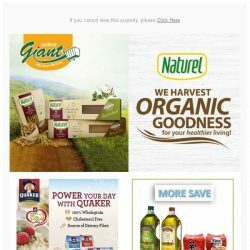 Warehouse Club (WHC) is a membership based warehouse retail club. 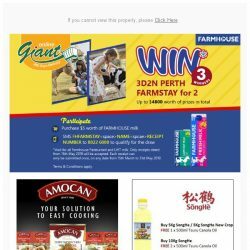 Opened in December 2014, It is the first and only warehouse club in Singapore for groceries and household consumables. WHC members enjoy greater savings through bulks buys, value packs and exclusive access to direct import products. 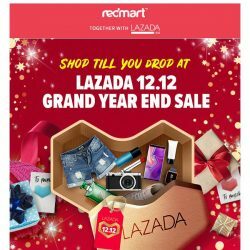 12 - 14 Dec 2018 RedMart: 12.12 Mega Sale with Up to 75% OFF + Additional $25 OFF with Coupon Code! 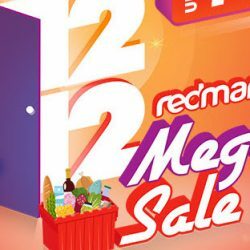 Stock up on groceries at RedMart's 12.12 Mega Sale! 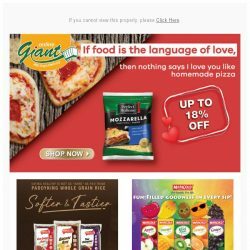 Get up to 75% off groceries and home essentials! 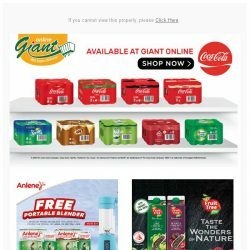 You can even shop for your Christmas goodies and gifts and get all of them delivered to your doorstep. 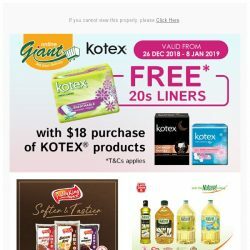 Sale ends 14 Dec 2018 so stock up now! 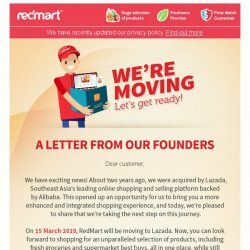 Don't forget to use our exclusive coupon code at checkout to save even more if it is your first purchase at RedMart! 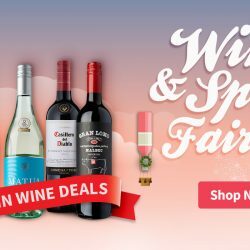 5 - 11 Dec 2018 RedMart: Wine & Spirits Fair with Up to 50% OFF + Additional $18 OFF with Coupon Code! 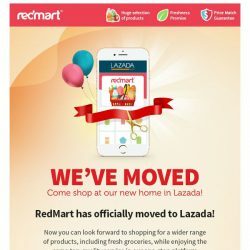 It's the holiday season and if you are holding a party, don't miss RedMart's Wine & Spirits Fair! 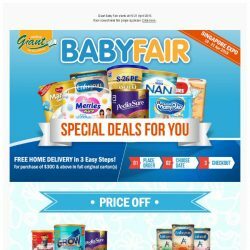 Get up to 50% off many choices of wine and other alcohol plus free delivery to your doorstep! No need to carry the heavy bottles back yourself. 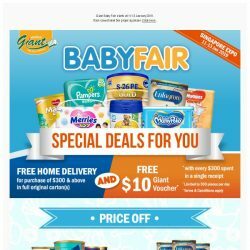 Sale ends 11 Dec 2018 so stock up now! 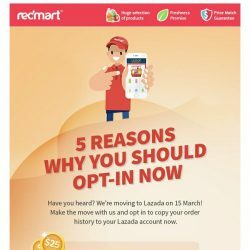 Don't forget to use our exclusive coupon code at checkout to save even more if it is your first purchase at RedMart!